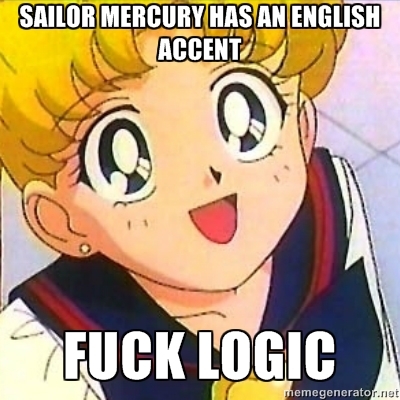 Sailor Moon Logic Meme. A Sailor Moon meme I made. Wallpaper and background images in the sailor moon club tagged: sailor moon sailor anime moon sailormoon usagi mercury logic funny.